Most of us have heard the taunts—metal mouth, brace face, train tracks—silly	names dreamt up by foolish people who have nothing better to do than make	fun of your awesome braces. It’s a shame. 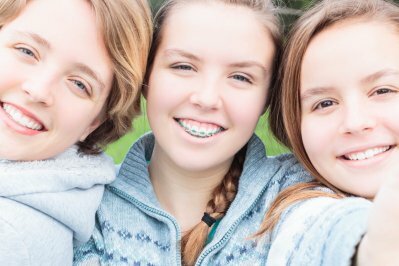 Nowadays, more kids than	ever wear braces—a testament to how many people realize the benefits	of a great smile. Even a large number of grown-ups have taken to wearing	braces for adults. Still, that doesn’t stop some lost souls from mocking others who	are trying to improve their health and fix their smiles. Of course, that	doesn’t mean you need to let the mindless prattle of others ruin	your day. So, what’s the deal with people who make fun of braces,	and how do you handle them? It can hurt to face such ridicule. It can chip away at your self-confidence	and make you feel less than the beautiful, wonderful person you are. That’s	particularly true for teenagers who are already going through physical	changes and who struggle every day to become more confident and independent. That being said, a little brace-ism here and there doesn’t have to	destroy anyone’s life. In fact, some would say it’s a normal	part of life, even a rite of passage for teenagers who are making their	way to adulthood. At the end of the day, whether bullying becomes a roadblock	or one more obstacle to overcome depends on how you choose to react to	the taunts. So, how can parents and their teenagers deal with the sarcasm	that comes their way? How can they turn an apparent negative into a positive,	life-changing experience? Be Confident: If you show up on your first day of school with your head down, your mouth	closed, and your hand over your face, the other kids will pick up on your	insecurity. Indeed, teenagers sense self-doubt like predators smell fear. More likely than not, they’ll take advantage of the opportunity	to poke fun at you. Instead of cowering, hold your head up high and wear	your braces with pride. The more confidence you have, the less nerve they’ll	have to pick on you. Think of the Long Game: You wear braces because you want a beautiful smile. In the long run, straight	teeth will boost your self-esteem and improve your social prospects. So,	the next time someone tears into you for wearing braces on your teeth,	just remember that by the time they come off, your smile will impress	even your biggest tormentors. 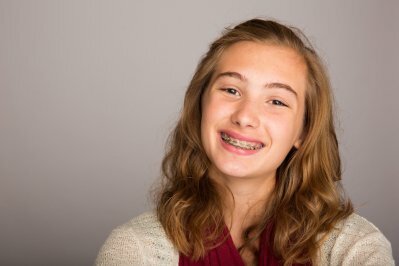 In a year or two, you’ll be the one	shaking your head at their crooked smiles, and, by the time they’re	wearing adult braces, you can smile knowing your distress is long over. Play It Cool: Sometimes, the best strategy is to brush it off. If someone makes fun of	your braces, you could just roll your eyes, shrug your shoulders, and	walk away. You could also just pretend you didn’t hear them. By	showing that the bullying doesn’t bother you, you’re giving	the trolls nothing on which to feed. Make a Comeback: If you prefer to confront the taunts head-on, then you could always turn	the tables with a joke of your own—and there are plenty of good	comebacks when someone makes fun of your teeth, from corny jokes-“Better	a brace case than a space case”-to pointed barbs-“At least	I can fix what’s wrong with my face.” Of course, whether you’re able to pull off a little	braces humor depends on how much wit and confidence you have. 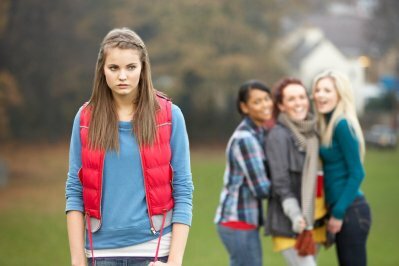 Find a Confidant: Sometimes it’s not about handling a bully, but about dealing with	the aftermath of their abuse. Perhaps all you need is a shoulder to lean	on (or to cry on, as the case may be). If you’re struggling to deal	with the taunts, you could turn to a parent, a teacher, a sibling, or	even the friendly staff at Labbe Family Orthodontics. With the help of	a supportive friend and a caring listener, you can face the worst schoolyard	bullies without losing your cool or your sense of self-worth. As adults, we’re supposed to be better at dismissing such childish	behavior, but that doesn’t mean ridicule doesn’t get under	our skin. Most adults could benefit from the same advice given to teenagers. Brush it off. Turn the tables with humor. Confide in good friends or family. Maintain your confidence in spite of the small-mindedness of others. Focus	on the big picture. Then again, many adults take a different approach—they tackle the	problem by wearing clear braces like Invisalign, which are nearly invisible	to others. 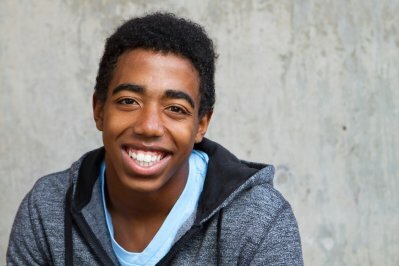 Many teenagers are also following suit and getting Invisalign	instead of traditional braces. While clear trays can be a bit more expensive	than metal brackets, they can take the wind out of the bullies’ sails. No one likes ridicule, but it’s an inevitable part of life. Fortunately,	there’s no reason to let it ruin your day or undermine your self-confidence. At Labbe Family Orthodontics, we want kids and adults to be proud of their	smiles. We want them to be happy and confident. That’s why we do	what we do. We’re	the best orthodontist in Maryland not only because of our superior skill, state-of-the-art technology, and	beautiful office but also because we’re a family-run practice that	treats each patient like one of our own. Our commitment to quality care	goes beyond providing the best braces. We also educate our patients, offer	extensive resources, and encourage them throughout the course of their	treatment. Need help choosing braces you’ll feel good about? Need support while	you’re getting your teeth straightened? Want to know how to take	care of your teeth and respond to the bullies? Reach out to the team at	Labbe Family Orthodontics. We’ll help you through the entire process,	from start to finish—from the moment you get your braces on to the	moment you take them off and see your new pearly whites for the first	time. Next time someone tries to humiliate you for your braces? Shrug	it off and remember that life is better with a smile.